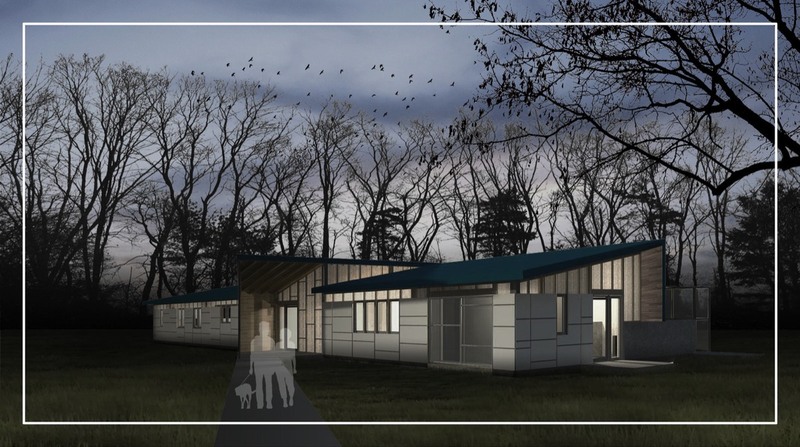 An ongoing project, currently in the fundraising stage, the Paws in the Panhandle project is a no kill animal shelter located in the Upstate region of South Carolina. This pro-bono project has an incredibly tight budget and every decision was carefully considered, down to the location of each and every wood member in the building. This scrutiny in the economy of design allows for very little wasted material but also a functional efficiency that previous versions of the project were unable to achieve. Environmental were also of concern and simple passive systems have been integrated into the design, such as correct orientation, stack ventilation principles and a rainwater collection system. This project is anticipated to be open by the end of 2016.